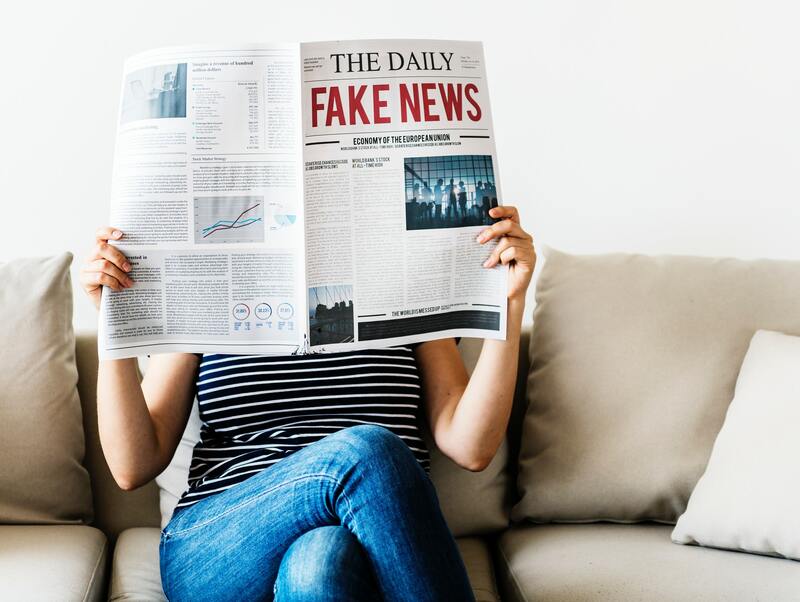 Africa’s quest to counter fake news, which could also be described as a “fear of criticism”, has become increasingly problematic in light of the recent creation of vague laws to address this challenge. The big men of Africa are absolutely terrified of criticism and now, more than ever, they are being hit with the epiphany of how powerful a weapon the internet is. Citizens no longer have to march through the streets to strike against what they deem unfair; they have a collective voice through the internet. With the current revolution taking place on Twitter, through hashtags and the like, it’s becoming more difficult for authorities to maintain the upper hand. Through the power of shares, likes and retweets, information can spread like wildfire to national and international communities. Increasingly, online platforms such as Jamii Forums, where users meet to discuss issues and share opportunities, are becoming a target in the name of tackling “fake news”. Government and regulators have started to enact vague laws and policies left and right in response to the rise of cybercrime and disinformation campaigns. As a continent, Africa is rich in diversity with multiple interesting cultures, a complex history and a strong heritage. The online world is one major way of sharing Africa with the rest of the world, from tourism to trade (export and import), and you cannot separate the digital economy from the offline economy. With dictatorial leaders who refuse to step down and authoritarian leaders who won’t tolerate criticism – even though democracy thrives on criticism, more so constructive criticism – the current approach to online content regulation seems to be mirroring these offline political realities. Many African countries are denying netizens the right to create and/or consume content online, and many authorities are making policies that create a kind of peer pressure and sense of permission among African states to stifle freedom of expression. Earlier this year, Tanzania jumped on the bandwagon of online content regulation with the introduction of blogger licenses and sanctions under the Electronic and Postal Communications Act (EPOCA). These laws have prompted an online circus as different stakeholders discuss the extent to which it will limit creativity and local content creation online. The electronic and postal communication act, which requires online content producers to be licensed, took effect on 16 March 2018 under Government Notice Number 133. This has a direct impact on application services licensees, bloggers, internet cafés, online content hosts, online forums, online radio or television and social media as well as subscribers and users of any related online content. The regulator has the authority to deny or accept license applications as it sees fit, and the cost of a license comes to an absurd total of $900. This act also includes blanket restrictions that are vague and poorly defined, making it a kind of “one-size-fits-all” policy that leaves space to throw in new stipulations and render them illegal. This new act poses a threat to citizens’ privacy and freedom of expression as it requires service providers to share information with authorities as deemed necessary. Under regulation 9, it also requires internet cafés to ensure that all public computers are assigned public static IP addresses and have cameras installed, and that all users register with their IDs. Not only does this directly affect the data and privacy of users and subscribers, it also fosters a culture of digital surveillance. The act further makes use of unclear terminology, such as “indecent and obscene” or “use of disparaging or abusive words which is calculated to offend an individual or a group of persons” (12(1) (k)), and describes false information as content which is “likely to mislead or deceive the public… except where it is preceded by a statement that the content is not factual” (12(1)(l)). This vagueness and lack of clarity in the wording of the policy leaves room for the violation of digital rights and, most commonly, misuse of the act for personal/government gain. The act also requires those who run blogs to moderate all user-submitted content before it is publicly visible, which not only demands a lot of input from bloggers but will also limit the rights of users to exercise freedom of expression online. There is also a statement that talks about the prohibition of “disparaging words,” which contravenes the right to freedom of opinion and undermines the ideal of “democracy” as accepting of criticism, such as whistleblowing about corruption and other public issues. Tanzania’s economy thrives due to the sharing and creation of local online content that greatly enhances tourism and trade, but strict licence requirements and vague laws do not provide a safe environment for the growth of this crucial part of the economy. The act has seen the foreclosure of many media outlets that did not comply with the requirements, including a temporary shutdown of the biggest Swahili content producer, “Jamii Forums”, earlier this year. As of October 2018, licenses had been issued to just over 200 online content services. Services such as WhatsApp, Facebook, Twitter and the like will be charged a tax duty of UGX 200 (USD 0.05) per user per day of access. This tax has direct implications for creation and consumption of content through social media platforms. Similarly, in March 2018, the government of Uganda also issued a public statement announcing that “all online data communication service providers, including online publishers, online news platforms, online radio and television operators are advised to apply and obtain authorization from the Commission with immediate effect” in order to offer communications services. As a gateway and point of access to information, social media plays a significant role in internet usage in these contexts. These platforms also serve as the major venue through which most citizens exercise freedom of expression as well as freedom of opinion. The government of Uganda has insisted that the exercise of the tax will help to advance broadband infrastructure as well as promote local content development by placing a tax on platform “content.” They have said this might prompt local mobile operators to develop and offer new OTT services that could potentially be developed locally. We need to be aware that this new act will not only have a direct impact on access due to the question of affordability, it will also affect the creation and consumption of local content online, especially through social media channels. While this might just be a case of two countries, Africa still has a long way to go to prioritise the digital rights of netizens and to harness the potential of the internet without breaking away from human rights. It is evident that the trend of limiting digital rights is quickly gaining ground, with countries such as Zambia announcing that citizens will soon be required to register with the government if they are administrators on any social media platforms, including WhatsApp and Facebook. The Kenya Film and Classification Board (KFCB) also issued a notice stating that citizens will require a license in order to be able to post videos on the internet. This was done under the pretence of preventing fake news and protecting national security. Video producers are also obliged to pay an annual registration fee of 12,000 KES, a fee of 5,000 KES for every video produced and a fee of 1,000 KES for every day of video shooting. Cases of internet shutdowns in countries such as Cameroon, Uganda, Togo and even the Democratic Republic of the Congo during election times over concerns about supposed “fake news” are proving a challenge to the advancement of the internet in African countries. With the laws and policies now trending amongst African countries, it’s very important that governments understand that these regulations do not reflect the public interest at all. To ensure the relevance of the internet to the communities it serves, it is essential to ensure that rights are protected and spaces are made safe enough for users to create and promote content. African governments should not use vague reasons and ideologies to infringe upon the online space, but rather embrace the potential it offers for the advancement of a digital-oriented Africa. This calls for governments to exercise openness, inclusivity and a bottom-up, democratic approach in order to develop polices that foster the online space as a safe haven where rights are concerned. Any sections in these laws that seek to oppress or undermine the public interest should be considered for repeal and review. Instead of creating complex laws that are ambiguous and confusing, it is essential that governments develop very clear and simplified policies that the continent can embrace in the digital age. 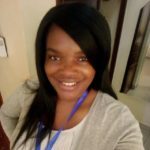 Rebecca Ryakitimbo is co-founder and representative for Digitalgrassroots in Tanzania, a youth-led initiative to grow digital citizenship and literacy. She founded KsGEN which works towards building informed, skilled and innovative communities through data and ICT Solutions to achieve SDG’s. Rebecca considers herself a STEAM and digital rights advocate, actively involved in internet governance forums/discussions at local, national and international levels, with a special emphasis on digital rights, gender inclusiveness and access. She is an active global shaper in the Arusha Hub under the World Economic Forum. She loves literature, film making, horse riding and is a girl scout.